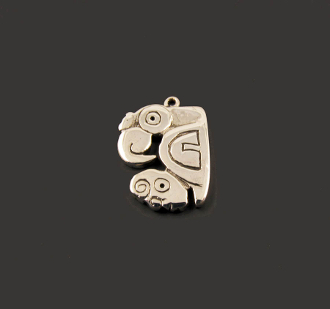 This handcrafted .925 sterling silver pendant/charm is based on an archeological find in La Hueca of an indigenous Jadeite amulet. The original amulet is thought to be over 2000 years old. This charm weighs approximately 3.8 dwt.